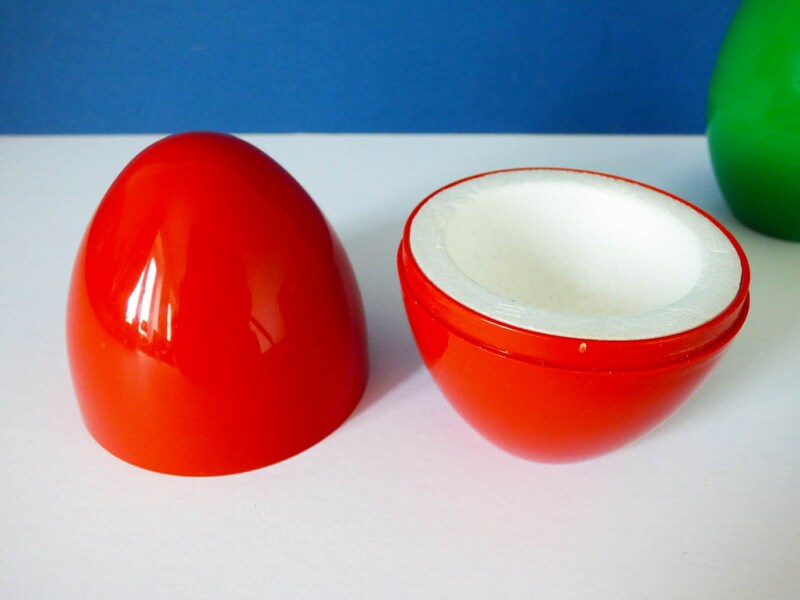 Two wonderful space-age plastic egg warmers from Germany. 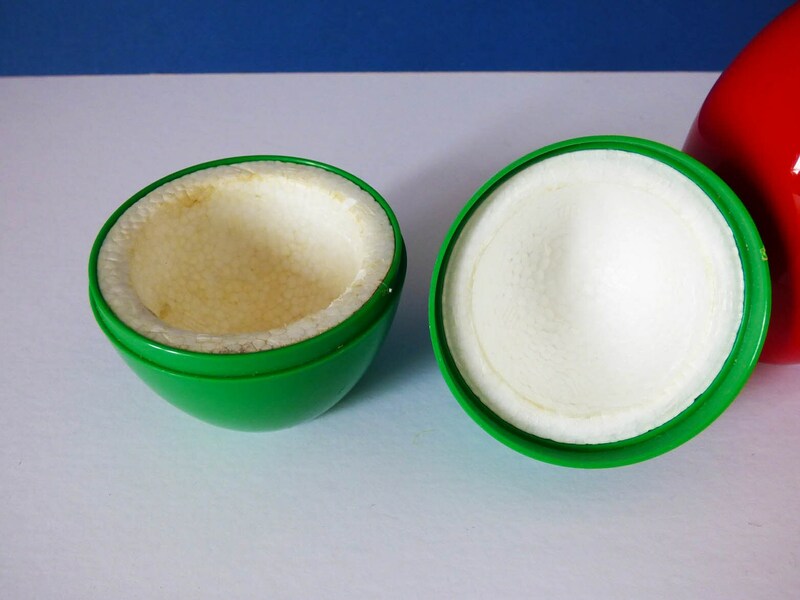 Created from plastic with polystyrene insides to help keep your boiled egg warm, alternatively, they could also keep your eggs cool. 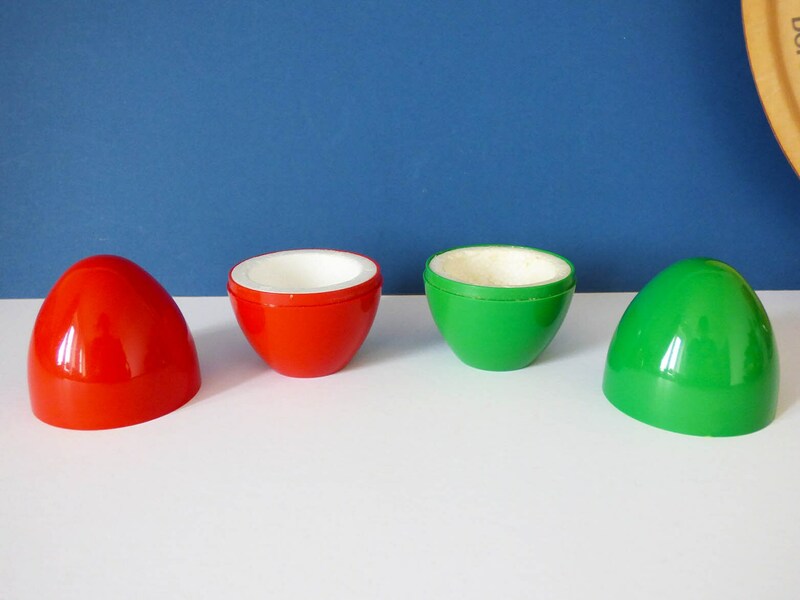 If you love vintage plastic, these may just be the fun pieces you need to add to your collection. 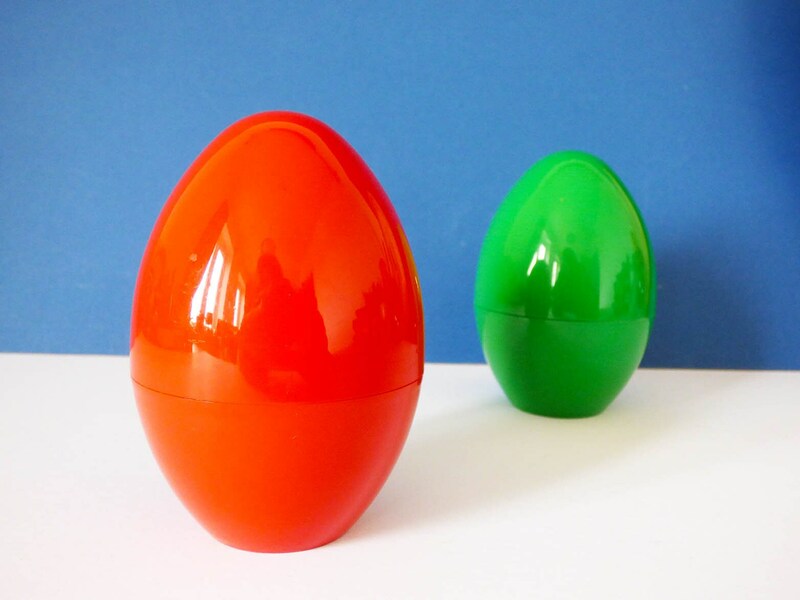 Each egg warmer measures 10cm tall by around 6 cm wide. 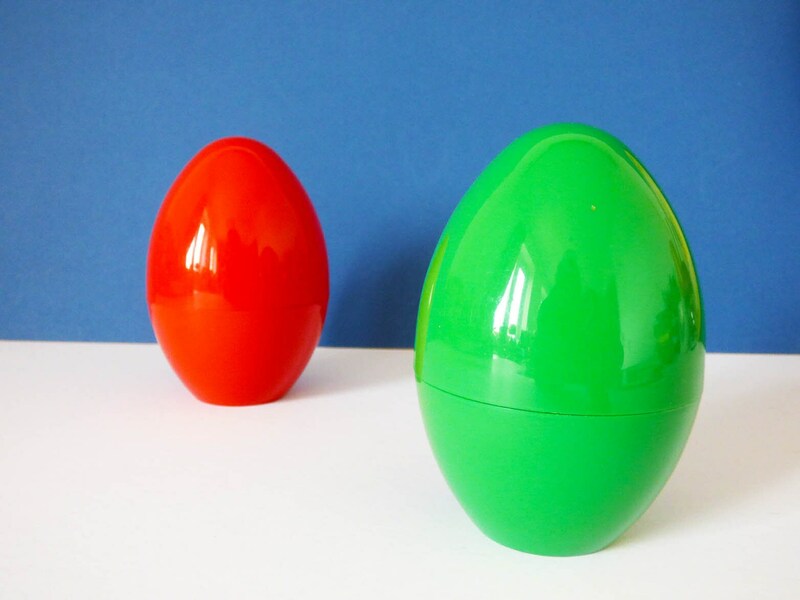 The result is that these look about double the size of the actual egg that sits inside, making them rather eye-catching and fun when on display. 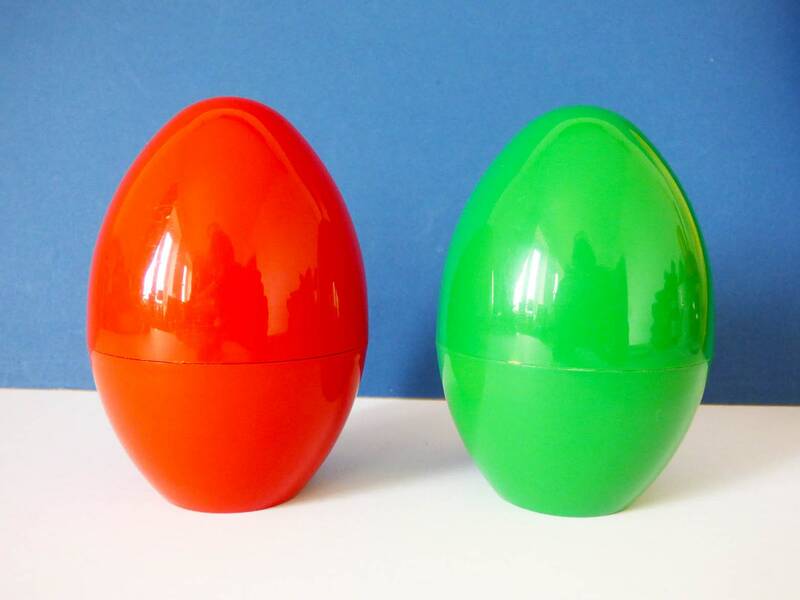 The inside of the red one is pretty much new, whereas the green one does have some light signs of use inside. 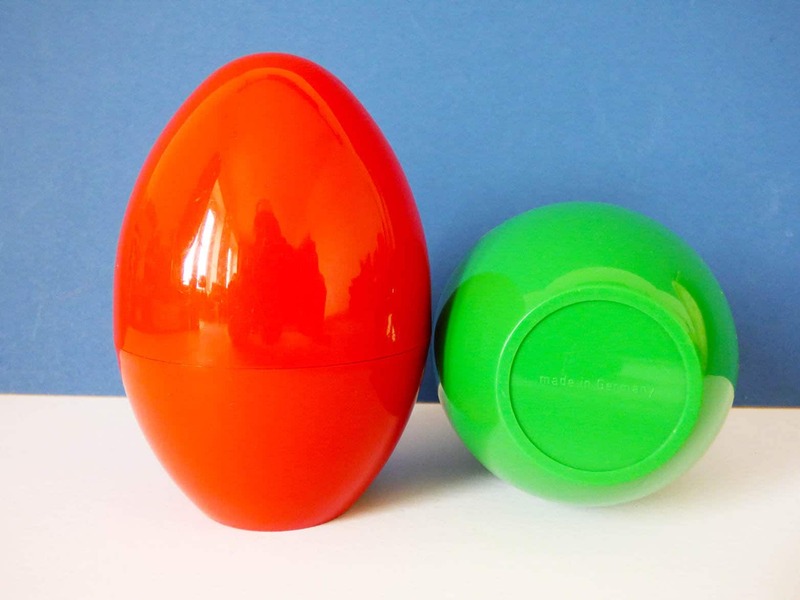 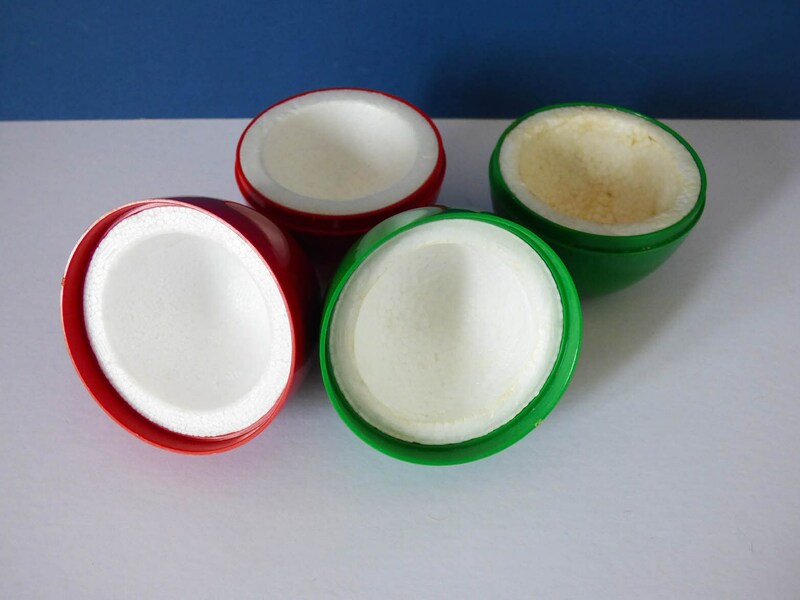 The outside of both egg warmers is clean and shiny, and each one is marked to the base, Made in Germany.